1974 was a notable year for many reasons – The Rockford Files debuted on NBC-TV, Richard Nixon resigned the Presidency of the United States amidst the “Watergate” scandal, the NFL granted a franchise to the Seattle Seahawks, and Heavyweight Boxing Champion Muhammad Ali KO’ed George Foreman in Zaire during The Rumble in the Jungle. 1974 also happened to be the year that a little film called The Sting won Best Picture at the Academy Awards and ushered in the era of the ragtime revival. This revival has now lasted more than four decades, as is indicated by this year’s 42nd Anniversary of the Scott Joplin International Ragtime Festival. However, before we get any further into that, let’s talk about what makes Ragtime special. Ragtime is widely regarded as America’s first original style of music, combining the oom-pah bass indicative of Sousa marches with melodies that use syncopated rhythms from Africa. The result is an infectious sound that is still inspiring young musicians to compose in its unique form. When visiting any ragtime festival, one is just as likely to hear compositions by Tom Brier, William Bolcom, or David Thomas Roberts as Scott Joplin, James Scott, or Joseph Lamb. Ragtime was the pop music of its day, and has a direct lineage to just about all forms of popular music heard today. When it’s said that Ragtime is how America’s music began, it’s exactly that. The 2016 Scott Joplin Ragtime Festival is set to bring back four legends who were featured in 1974 at the very first event. Richard Zimmerman was one of the first names on the short list of people tapped to help get the first Joplin fest off the ground due to his extensive work in producing both magic and ragtime stage productions, and being a founder of the original Maple Leaf Club in 1967. He then served as festival Artistic Director, producing professional quality concerts featuring international ragtime personalities, until handing over the reins in 1998. Richard has played ragtime all over the world, and is one of a very few people who have recorded the complete works of Scott Joplin. David Reffkin, a classically trained violinist from San Francisco, CA, has the distinction of participating – as director, performer, presenter, and/or contributor – in every Scott Joplin Festival since its 1974 inception. Over three decades, David presented the radio show, The Ragtime Machine, in which he interviewed virtually every notable ragtime personality in the world. At this year’s Joplin festival, David will be performing in two concerts and providing an informative symposium on Kansas-born ragtime composer, Brun Campbell. Fellow San Franciscan Terry Waldo also makes his Sedalia return after a several-year absence. 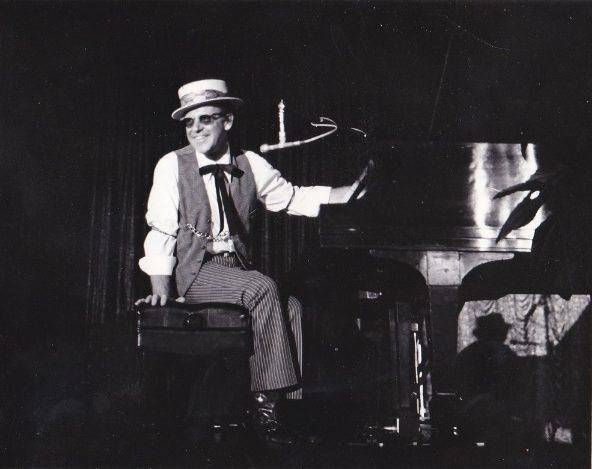 Terry’s ragtime career began in the early 1960’s, and he became a protégé of legendary ragtime pianist Eubie Blake when he moved to New York in 1970. Terry has produced off-Broadway shows, made television and film appearances, and taught ragtime history and performance. He has worked with Turk Murphy and founded the famous Gutbucket Syncopators. Terry will be prominently featured on the Thursday night “Easy Winners” Concert in Sedalia. The emcee on the same “Easy Winners” concert will be the incomparable Max Morath. Arguably the most recognized name in Ragtime, Max began his entertainment career right out of college and has had vocations in radio, television, theater, and the recording industry. As one of the driving forces behind the original ragtime revival and its continuation, Max’s legacy inspires ragtime performers of all ages to proudly perpetuate this American music form. Max will be presenting his not-to-be-missed talk, “Living a Ragtime Life,” on Friday morning. All four of these featured performers will be part of an in-depth, once-in-a-lifetime panel on Thursday morning. Previous How’s Your Festival Doing?